The reduced dose to tenofovir (Viread) of 150mg per day appears to be a safe and effective treatment for people with HIV and who have moderate renal impairment, according to the Thailand researchers report in the online edition of Clinic Infectious Diseases. The daily dose of 150mg from similar exposure to the recommended drug dose of 300 mg at each 48 hours. In addition, reduced dose treatment maintains viral suppression. "This is the first alternative evaluation report on TDF dosage [tenofovir] in HIV-infected adults with moderate renal dysfunction. Our data demonstrate that dose reduction of the approved TDN 300 mg at each 48 hours in adults with a creatinine clearance between 30% to <50 ml / min for 150mg once daily provides comparable exposures over a period of 48 hours after receipt of a NNRTI [non-nucleoside reverse transcriptase inhibitors] - or lopinavir / ritonavir-therapy, "the authors write. "The preservation of virological suppression and lack of adverse events was reassuring." Tenofovir is a widely used antiretroviral. The standard dose is 300 mg once daily in combination with other antiretroviral medicinal products. The drug is secreted through the kidneys. 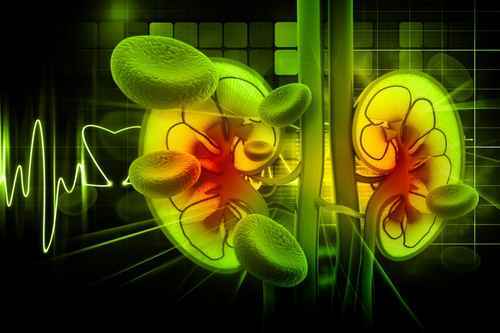 A pharmacokinetic study in HIV-negative patients with renal impairment showed that subjects with creatinine clearance less than 50 ml / min were significantly higher blood levels of tenofovir. It was therefore estimated that the tenofovir dose of 300 mg at each 48 hours for those with moderate renal impairment - creatinine clearance between 30-49ml / min - which offer exposure to drugs similar to that observed in persons with normal renal function receive the standard 300mg daily dose. But many people feel that administering this dosage every 48 hours, is confusing and inconvenient. In phase I, open, pharmacokinetic study involving 40 people living with HIV who had creatinine clearance between 30 and 50 ml / min, who were taking a tenofovir dose of 300 mg every 48 hours. All had their viral loads carried to the undetectable point; half of them were taking a combination based on an NNRTI and the other 50% of a regimen containing lopinavir / ritonavir. Blood levels of Tenofovir were intensively scrutinized over a period of 48 hours, and exposure to intracellular tenofovir was also monitored in peripheral blood mononuclear cells. Study participants were then linked to a dose of 150mg / day of tenofovir. After two weeks, pharmacokinetic analysis was repeated. Participants had a mean age of 56 years and an average weight of 51kg. Mean creatinine clearance was 43,9 min / ml, serum creatinine and median was 1,3 mg / dl. All had an undetectable viral load and the mean CD4 count was 502 cells / mm3. Mean plasma concentrations of tenofovir were essentially similar for the groups receiving 300 and the groups receiving 150mg regardless of whether participants were taking the drug in combination with an NNRTI or ritonavir and lopinavir. In general, people taking lopinavir / ritonavir had a concen- tration of tenofovir at higher plasma levels than people taking NNRTI. This was observed with both the 300 and 150mg groups of tenofovir. Intracellular concentrations of tenofovir were comparable between the two groups; those of 300mg and those of 150mg. "Data demonstrate that changing TDF to 150mg once daily in HIV-infected adults with moderate impairment of renal function leads to comparable exposure to current recommended 300mg, at each 48 hours," conclude the authors. "This daily dose is an option for this subpopulation of patients and may be preferable to simplify their antiretroviral regimens and facilitate adherence. However, renal function should continue to be closely monitored in these patients. " Translated from the original into English in Lower daily dose of tenofovir 150mg safe and effective in people with moderate renal impairment by Cláudio Santos de Souza: "Yesterday, we hid to survive! Today, we show ourselves to live! Cressey TR et al. Intracellular plasma and the pharmacokinetics of tenofovir disoproxil fumarate (TDF) 300mg at each 48 hours versus 150mg / day in HIV-infected adults with moderate impairment of renal function . Clin infecting Dis, editing online, up to 2015.